The government may impose a tax on soda, according to DAP lawmaker and finance minister’s special officer Tony Pua. The move however is not intended to burden low-income earners in the B40 group. “For example a soda tax, like a tax on Coca-Cola has two components. “Firstly, it can generate some revenue for the government. It also does not burden the B40 group as they don’t need to drink Coca-Cola. “At the same time, it encourages healthy living,” he told TV3’s Buletin Utama. Pua added that the government was studying various proposals of taxation to ensure that the most suitable one is implemented. According to the report, the government is exploring the possibility of new taxes in order to cover the RM19.4 billion shortfall in GST refund. Putrajaya is expected to see a shortfall of RM21 billion in tax revenue following the abolition of the GST. Lim had said the government can cope with the revenue shortfall due to higher oil prices as well as collecting more dividends from government-linked companies and cutbacks to government operational expenditure. However, the Finance Ministry is now facing new challenges as it must also resolve the GST refund shortfall which the government has committed to repay to businesses next year. Commenting on the issue, Umno lawmaker Khairy Jamaluddin said he supported the implementation of a soda tax. “I support a soda tax. But I don’t think we should say who can or cannot consume soft drinks. “Preferably everyone should minimise consumption of soft drinks,”he tweeted. Indeed, the idea of taxing unhealthy grub and drinks is far from new. In Denmark the government repealed a 15 month old “fat tax” in 2012 and announced it would abandon a proposal to tax sugar out of concern it would hurt low-income earners. Denmark also repealed its decades-old tax on soft drinks in 2013. In places like Mexico and Berkeley, California, governments have also taxed unhealthy foods and drinks. 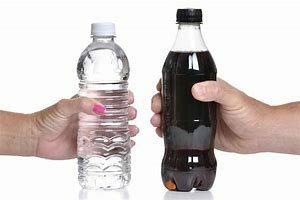 In 2013, New York city also tried to impose a 16-ounce size limit on bottled and fountain drinks that were sold at places like restaurants, corner stores, sports venues and movie theatres. But the ban never came into effect because it was overturned by the courts. The post Tax on drinks not a sweet thought for many appeared first on MarketingMagazine.